The Ochsenkopf Mountain is the place to spend your spare time: With well marked hiking trails, many sights, summer Toboggan run, alpine coaster, downhill- and single trails, climbing park, zipline at one of the highest mountains in Franconia! The Ochsenkopf Mountain a must-see in Franconia - 1024 m above the sea level. 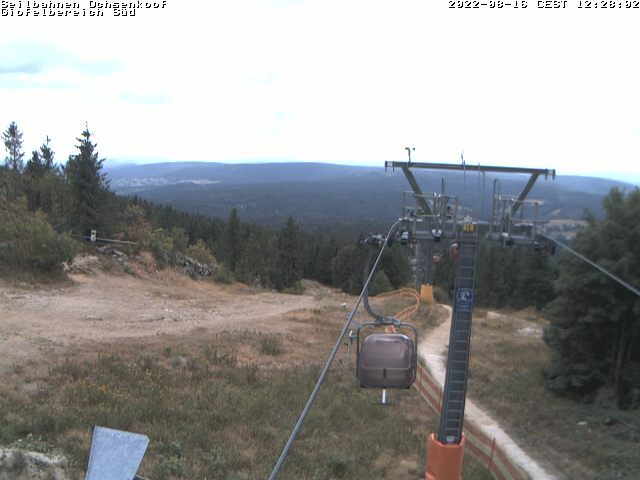 The second highest mountain in the Fichtelgebirge area can be reached by two ropeways, one at each side of the mountain. It is the highest situated touristic-developed area in Northern Bavaria. Full of adventures and attractions. The Ochsenkopf Mountain is in summer as in winter a place always worth a visit. No matter if you come with your family, on your own, as a sportsman, a local or a tourist - the Ochsenkopf Mountain is always an experience. The Ochsenkopf mountain is not only an incomparable cross country area. There are the longest ski slopes in northern Bavaria. Enjoy fantastic landscapes on romantic hiking trails, experience unforgetable moments at our toboggan runs. Check out the skiing schools at Ochsenkopf mountain - it doesn’t matter if you want to refresh your skills, begin by yourself or attend a course in one of our local skiing schools, everyone can enjoy a day at the Ochsenkopf’s ski-tows and ropeways. Both ropeways, North and South are open daily from 9:30am until 5pm! Toboggan run "Alpine Coaster" is open daily from 10am until 5:30pm! 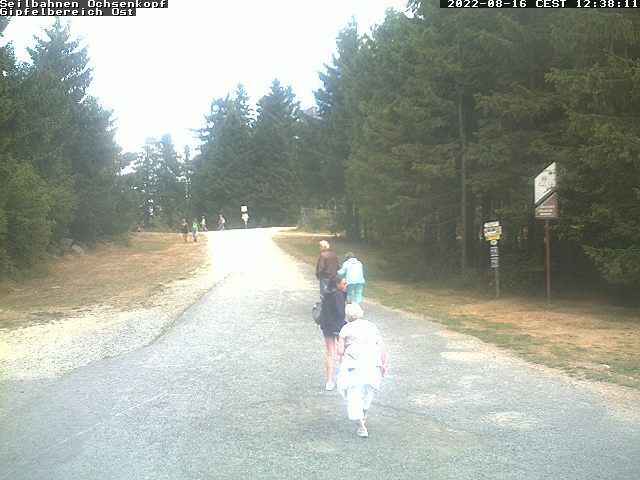 Summer season at Ochsenkopf has already began! Summer season at Ochsenkopf Mountain has already begun! The summer season at Ochsenkopf Mountain has already begun. There´re some restrictions due to rinsings and windthrow caused to the long during winter season. We still have some snow in individual areas at the summit, so please be careful by hiking down. The singletrails are open. Caused to the long during winter with many stormy days, we´ve more restrictions due to rinsings and windthrow than expected, but all detours are clearly signed. We are working flat out on the correction of the damage, so that we´re confident to come to an end within the next few days. Passable. At summit still some snow and ice. At the way down are some restrictions due to wood works possible. 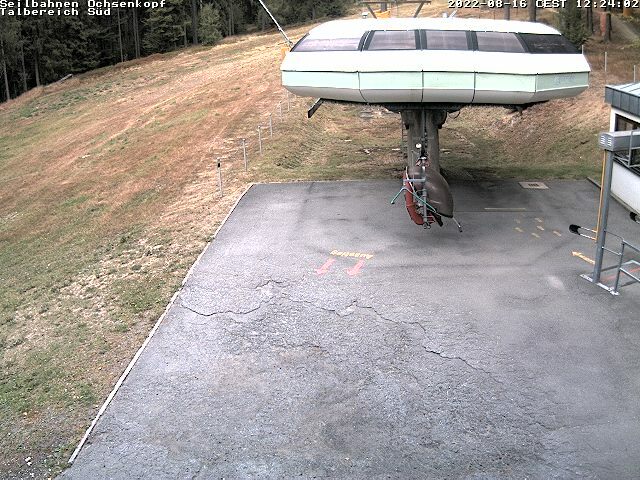 Live-Bilder vom Ochsenkopf. 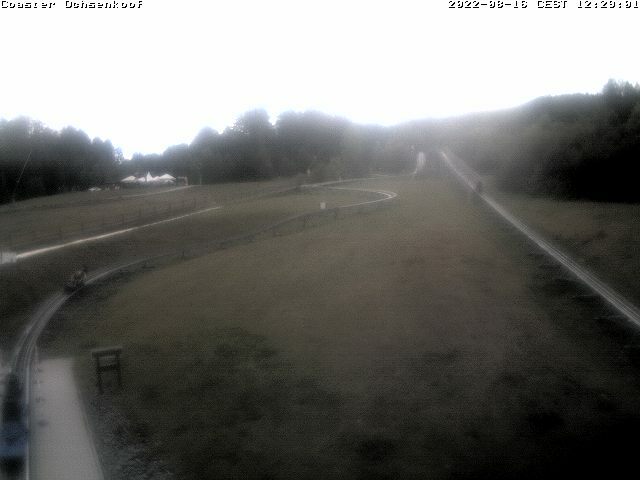 Die Bilder werden alle 30 Sekunden automatisch aktualisiert.